If you aim to do some serious damage online, you’re going to need a backlink strategy that shoots you up search rankings and gets your website seen by the people that matter. 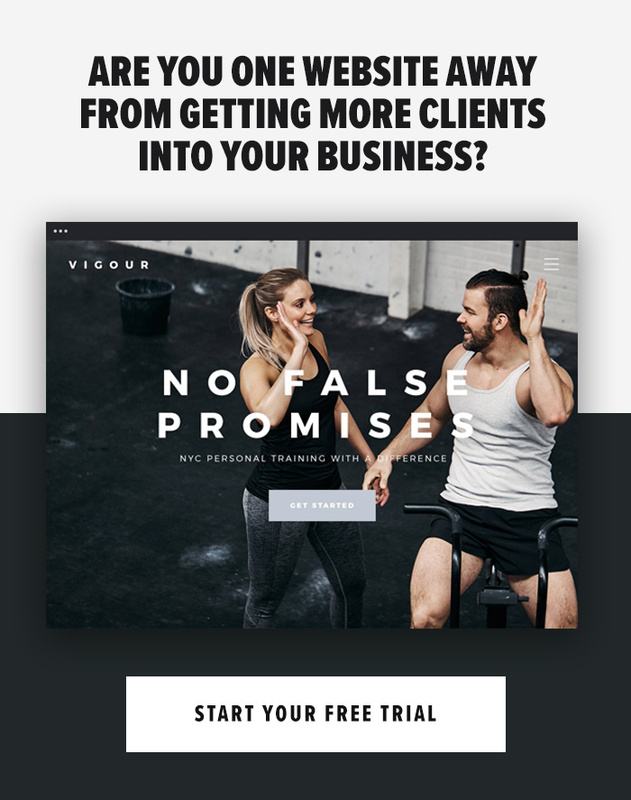 Looking to boost your SEO for fitness services? You’ll need a killer backlink game that pushes your website past the competition while steering you clear of any trouble with Google’s spam police. In this article, we’re highlighting some of the best methods you can adopt to ensure your website has the most beneficial kind of link profile, allowing you to achieve long-term SEO performance and steady traffic growth while avoiding Google penalties. 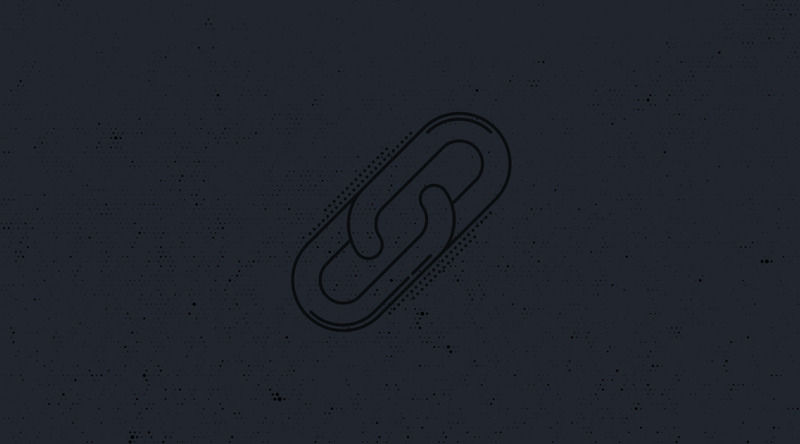 What exactly is a backlink and why are they so important? A backlink is a link that points to your website. Ever read a blog and clicked on a highlighted word that took you to a completely different page? That link you clicked on is a backlink to the site you arrived at. Backlinks can be placed in your own onsite blog or they can be placed in content from offsite destinations such as someone else’s blog, a business directory, a news website or any other online industry resource. Backlinking plays a huge role in SEO (search engine optimisation). If handled correctly, an effective backlink strategy can increase your brand’s exposure, drive traffic to your pages, and allow your website to climb search engine rankings. What’s the difference between bad backlinks and quality backlinks? Google’s algorithm changes constantly but having a varied collection of great backlinks pointing towards your website has always been an essential ranking factor. A good backlink profile is built with links from authoritative websites that receive large levels of traffic and are well known for producing high-quality content. A low-quality backlink is one that’s placed on a suspicious website that’s poorly designed and sees very little activity in terms of traffic or updates. There are certain strategies that involve building large backlink profiles quickly by collecting low-quality links from websites specifically designed to build links. These types of link building methods are widely known as “black hat” strategies. Black hat strategies may generate some level of short-term gain but Google is constantly on the hunt for websites employing such techniques and is becoming increasingly adept at penalising them harshly. The thing that Google hates is anyone trying to come up with ways to turn Google ranking into a numbers game. The last thing the biggest search engine in the world wants is for its first page results to be filled with spam riddled websites that aren’t actually the most useful answers to the user’s query. Google wants to bring people the most useful and relevant information out there, which is why your production approach should always be quality over quantity. So how exactly should you get started? The most important thing you need to do right from the beginning is to make sure you’re creating content that people really want. Entertaining content is great, but it needs to be top-notch to be considered unmissable. Informative content is far easier to create consistently and is incredibly relevant if your brand offer some form of expertise. When people search for personal training or self-improvement services, they’ll have loads of questions that they’d want an expert to answer. So if you’re working on fitness SEO, it makes all the sense in the world for your content to be as helpful as possible to people who are asking these kinds of questions. People love lists. Whether you’re going to create a guide, a review or just a plain old rant, produce it as a list to keep people interested. Nothing puts people off more than huge blocks of text. Split your articles into easily digestible sections organised by subheadings so that readers can scan and skip parts as needed. Remember that a lot of people will be reading your content on mobile devices, so making everything super easy to read and flick through will go a long way in bolstering your site’s usability. By creating great content that others will find really useful, you’re effectively acting as a source that people will want to share and link to. Think about all the people out there that are writing about your industry, they’re only going to want to link to pages that offer something reliable or outstanding. If your content is dull, too simple, and hard to read, your SEO will be poor because none of your viewers will want to link to it. So the very first rule to achieving great backlinks is creating brilliantly helpful content that people will want to read, share, and follow going forward. Content that will remain useful regardless of time is usually known as “evergreen content”. When you start out, you’ll be tempted to cover all kinds of subjects, much of this content will be on the latest trends impacting your industry. While covering trends, news, and time-bound subjects is crucial in staying relevant, you also need to publish expertise and advice that people can depend on for years into the future. By offering guidance or facts that won’t expire, you’ll gain more shares and links from people who want their own posts to refer to sources will stay relevant for the long-term. Great examples of evergreen content ideas might include definitions or explanations of particular expertise, historical timelines, recipes, or perhaps breakdowns of certain workout routines. It’s always important to use your own unique tone and creativity to distinguish your own evergreen content from others. Relationship building is a founding pillar of backlink creation. This is the ultimate way you’ll be generating the majority of the high-quality backlinks to your site. When your brand is unknown, people won’t be flocking to link to your pages. So how do you get your voice out there? One of the best things you can start doing is guest posting on the blogs of other authorities in your niche. Let’s say you’re working on fitness SEO, you’d need to search for as many bloggers in your niche that already have a great following and also welcome contributions from others. You can then reach out to these “influencers” by offering to create a post for them that you’re sure their readers will love. The post you offer needs to be a breath of fresh air and in-line with their core message otherwise they’ll likely turn you down. Put all the effort you can into designing post ideas that are exciting, offer new angles on popular subjects or are too entertaining to ignore. Once you’ve been given permission to create a contribution to an influencer’s blog, this is your chance to place a link to your own blog or website within the content you produce for them. Most of the bloggers you reach out to will have strict rules they’ll want you to follow closely, so pitch them lists of ideas instead of completed drafts. Here’s a great post on understanding the relationship between PR and SEO in more detail, it also highlights some crafty ways you can go about achieving great coverage from leading publications. The higher a site is ranked in Google, the more value a link from that site will be. You need to focus the majority of your efforts on achieving contributions to the most influential sites possible. Busting your gut to earn a post on a site that’s barely ranked higher than yours isn’t worth it. You need to prioritise landing bigger fish for maximum results. How do you tell if a site is a high ranking authority? You can use tools like Alexa rank to identify any websites ranking globally or domestically. The lower the rank the higher their authority and traffic levels are. Type in Google.com and you’ll see it’s #1. This tool can also give you a very detailed breakdown of user stats and performance history for certain sites that have signed up to make this data public. Start by using Alexa to look up the biggest name in your niche, check out their stats first to give yourself a reference point, and then compare the stats of other sites relative to the leading authority you’ve chosen. This is an effective way of gauging whether sites are worth contributing to or not. Want to see how your rivals are doing it? You can use a tool called Link Explorer to see where a particular website’s backlinks are coming from. This tool can be useful in a number of ways, especially if used in conjunction with metric tools like Alexa. You can identify the big blogs that evidently allow guest posts, see how your most successful competitors are building their backlink profiles, and also take note of how many backlinks these sites have managed to collect. This simple image from Statista tells us everything we need to know about the global market for trainers in an elegant graph that takes just seconds to comprehend. Readers love it because it’s easy to scan and take in, so marketers and publishers love sharing it in their articles. Create a great infographic that others adore and every time they share it, you’ll get a new link. There are quite a few platforms out there that’ll help you create infographic images without the need for professional designers, but one of the most popular is Venngage. If you fancy keeping things basic, you can create one for free, or you can make the graph more advanced by opting to use paid options. Once you have your image ready for publication, you can reach out to bloggers in your niche to let them know your brand new infographic design is available. If it proves handy for a piece they’re currently working on, they may decide to feature it which will mean a brand new quality backlink for your site! These are some of the best ways you can start to build high-quality links for a brand that’s just starting out. It can be very tempting to jump down the black hat route in the early stages but don’t make this mistake! Put the extra work into pursuing quality over quantity and your brand will benefit over the long-term from more organic search traffic with far less risk of penalties. It can be a daunting task to dive into the complexities of SEO if you’ve never done it before. Not sure if you have the time to do what it takes? At Startup Active, we specialise in SEO for fitness professionals. If you’re keen to utilise the power of the internet with a website and online presence tailored to attract your target prospects, we have the expertise to handle every step of your digital strategy for you. Get in touch today and we’ll be happy to answer any other questions you have!